Our villa 'Paille en Queue' is ideal for a peaceful stay. Up to 8 person, please come and rest yourself in a quiet environment. You can discover the real way of living of the Mauritian people and also many wonderful places to visit and we are sure you will leave with lots of memorable souvenirs of the island. Luxurious Villa with heated pool and private garden. Very appreciated by children and even by adults in July & August as it is our winter here. In a very peaceful & Calm area. Ideal for a family or friends. In a very typical village away from the traditional holiday resorts. 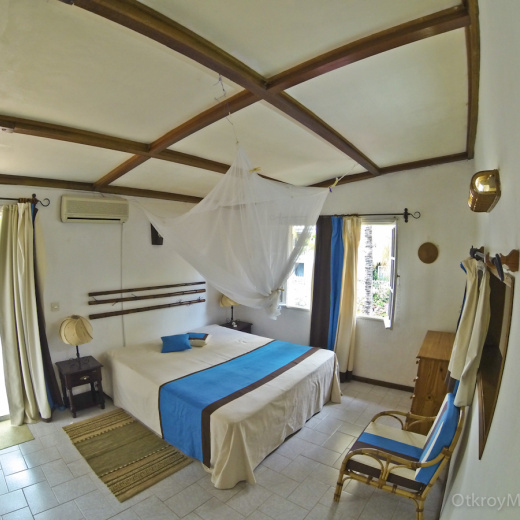 Our villa is very modern and fully furnished with 3 double bedrooms and with 1 single bed on the Mezzanine. In the evening relax and admire the island's studded stars and on clear nights watch and make a wish to shooting stars. All the rooms are all fully air conditioned. The whole villa is equipped with alarmed response system and has a private covered parking for 1 vehicle. Accessories: LCD flat screen TV, Canalsat Box, DVD player with speakers. Telephone and Internet connections with WIFI . A safe for your valuables as well . Bathroom: Hairdryer, Open Showers in the bath rooms. Baby cot can be provided if needed. Lounge: 6 seats sofas and as it is an American Kitchen , we have a dining table and chairs for 6 people. Garden: Garden furniture, table and chairs for 6 people with a gas barbecue. - 10 minutes Walk to London supermarket. - 10 minutes Drive to Black River Gorges National Park, famous for its scenery, Pink Pigeon, Big Cateau Verte and Stags. Mauritius is an amazing destination, for honeymooners, lovers of watersport, golf and leisure, the great nature or just to experience the exotic island lifestyle. Come and experience it all, just a short drive or walk away, while enjoying the privacy of your own villa. Just kick back and relax, I am sure you will find our villa and this lovely island a paradise. We have had many guests from all over the world during the past few years. If need be , we can give you another website where you can see their appraisals. All those who have come before can tell you all the facilities we offer to our guests. In a very peaceful & Calm area . Ideal for a family or friends . Beach activities , golf and big game fishing in Black River, well known for World competition. Only number of persons booked can stay. No extra guests locally.